The act of mixing genres, once regarded as blasphemy, has become really common nowadays. Two styles of music used particularly often in such a fusion of different worlds are folk and metal. One could describe Uaral (to my knowledge pronounced as oo-areál) as a folk metal band. Could, but should not. The Chilean duo has a very unique style far off the cliche of adding folk melodies to death or power metal. I’d rather call their style acoustic doom. The first characteristic of their music you might notice could be, that they add extreme vocal styles (death-metal growls and black metal screams) to mostly acoustic music. Calling it “folk” would definitely be a downplay, since they masterfully blend Chilean and Spanish folklore with “latin” music and neoclassicism. In contrast to most neofolk projects, Uaral’s music is rhythmically interesting due to the use of triplets, syncopation, rubato playing and rhythmic displacement. Also, they manege to create a symbiosis of acoustic music and extreme vocals without sounding out of place or having the ridiculousness of “acoustic black metal”. 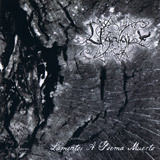 Lamentos a Poema Muerto is their second full length album and the first to be released through “Octagon Music Group” in 2007. It features 7 tracks, 6 out of which are actual compositions and 3 of whom were released previously on demo eps. The first track is a field recording of rain. With its length of nearly two minutes it might seem too long to some, yet I find it to be a good mood-enhancer. The second track begins with a short piano intro and continues with strummed chords and a lovely melody. Later drums, bass and clean baritone vocals add in. Up to this point “La Escritura y el Alarido“ sounds like a even slower and more melancholic milonga. The clean, almost operatic vocals are then replaced by a growl and a church organ-like pad is added. After a extremely well placed scream-passage and a short pause the song continues with a new guitar arrangement, growling and even a flute as well as an electric guitar solo. Somehow, however, the ending feels too sudden for me, and a bit illogical. Nevertheless a great song. The following song is my personal Uaral favorite and highlight of the whole album. “Lamentos” is a true masterpiece; the warm sound of wonderfully ornamented and beautifully harmonized, lovely guitar melodies against the the arpeggiation, the slight rhythmic displacement of the harmonizing voice, the subtle alterations in the arpeggios changing the context of the melodies, the deep growls, the mighty organ passages, a dramatic, somewhat “theatrical” clean vocal performance, the most emotional scream I’ve ever heard, Caudal using his breath as an instrument to enhance the atmosphere, the black metalish electrical guitars and the emotional solo at the end accompanied by a piano playing a bell-like ostinato… This composition is eargasmic from the first to the last note. The successor begins with rubato guitar playing one could associate with flamenco. “Surrendered to the Decadence (Parte 2)“ is a qutie versitile song, feauturung drums, growls and clean vocals, bass, post black metalesque electrical guitars, flute again and some shoegazy pads. This track prooves, that Caudal is a master vocalist. The vibrato he performs, tremblig with pain, as well as the sorrow-laden microtonal pitch glides distinguish him from most singers; he is a true master of his vocal chords. The whispered passage (as well as the spoken words on “Eterno en Mi“) is also evidence that he would be a great voice actor. The fourth composition really stands out; productionwise as well as musically. There is a lot of reverb and it sounds really lo-fi; as if one would be listening to the song from a old transistor radio from the 50’es, placed in another room. It is also the only fully instrumental composition on this album and musically it reminds of Viennese folk dances of the classical period or of something, Tarrega or Sor would have composed. It is also the only throughout harmonized composition on this album. “Eterno en Mí” begins with a rain sample and a spoken word passage, followed by a guitar playing rubato and a bass. The melody is replaced by strumming and clean as well as extreme vocals take turns in what is the longest vocal part of the whole album. After harmonized guitars and strumming, the track finishes with spoken words again. The seventh and last song starts with a rain sample again. It has a more lo-fi feel than most songs, but not as extreme as with “El Campesino”. A pedal point motif and arpeggios, combined with spoken words, clean tremolo picking, the sounds of crying characterize the first part of “Acidal (Tonada para el Huerto en Re Menor) ”They are then interrupted by a masterfully placed thunder sample, which is followed by a rubato guitar melody, “crying” singing over strummed guitars, a harmonized solo, and extreme vocals; particularly the most extreme scream I’ve heard Caudal do as a grand finale followed by another thunder and rain fading out. Thus this emotionally intense, atmospheric and melancholic journey ends; and a great journey it was. However, there are a few things I did not like about this album. Firstly, the attack on some of the melodies played on the guitar is far too sharp. A mellow tone would have been far better, especially since the spots where it would have suited the music were taken up by the electric guitar. I also feel, like the harmonization was overdone. In order to play rhythmically correct and harmonize the tracks, Aciago (the instrumentalist) had to sacrifice on ornamentation such as vibrato and trills, which would have made the melodies far more expressive than the constant armonization. The ornamented melodies over the arpeggios -at least to me- sound far superior. Also the use of reverb was overdone for my ears. The bass was too quiet and should have been used on more tracks. It not only added dimension but also enriched the music through (unfortunately too few) counterpunctual moments. The brilliant bass lines and their interaction with the other instruments were one of the highlights of this album. In conclusion I can say, that this is one of the heaviest albums I’ve ever heard. I’ve experienced the heaviness of their sorrow, emotionalism and melancholy as far more crushing that distorted guitars and heavy drumming. This album has moved me profoundly and touched me deeply, without me even understanding their lyrics. For many this album may seem short, with “only” 44 minutes of playing time, yet it is very intense. So intense even, that any prolongation would water it down or feel unnecessary. On a scale from 1 to 100, this album is a solid 92 for me because of its atmosphere, melodies and arrangements as well as the instrumental and vocal mastery. I can, without any reservation, recommend this album to every fan of Funeral Doom or melancholic and depressive music in general. Empyrium fans will most certainly love Uaral. My final recommendation would be, to listen at this album while watching the sun go down, preferably near the sea. I don’t know why, but when I close my eyes while listening to Uaral, I see waves hitting the shore in my mind’s eye.